As a place where many boats are anchored and huge sightseeing ships gather, a big port city excites people with its scenic beauty. Many kinds of people and commodities come and leave the ocean and the city, painting the atmosphere with exoticism and liveliness that are unique to the area. Taking a stroll at the dock while feeling the breeze caressing our skin or sitting down at the bank and watching the ocean… Many of you probably dream of having fun in a port city. A port city is a part of the ocean’s scenery, allowing people to walk its beach and discover a different side of the ocean. 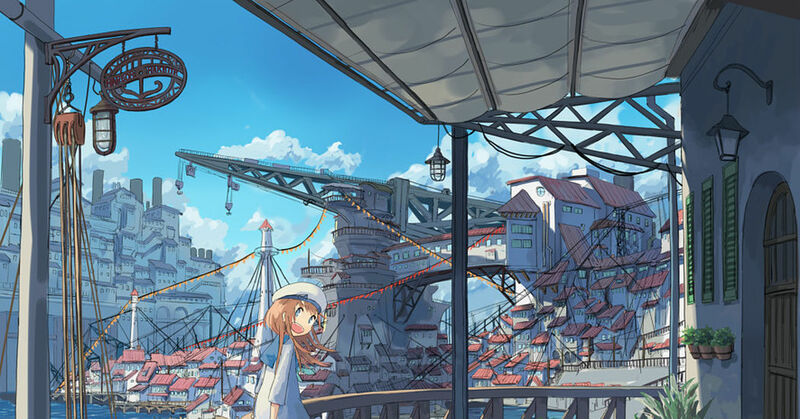 Today, we’re featuring illustrations of “port cities”. Enjoy!